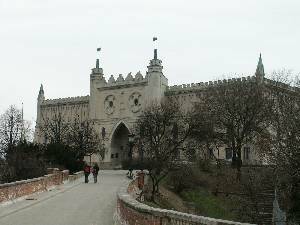 Articles with keyword "Lublin Castle"
History of Zamkowy Square (Castle Square) is related to the Jewish settlement in Lublin. Until 1942, Szeroka Street ran across the site of today’s square. It was the main street of the Jewish Quarter that was nearly completely destroyed by Germans during the World War II. After the war, the authorities decided that a ceremonial square would be created at the site, together with monumental stairs leading to the Lublin Castle.